Lock in a great price for Casa Morada – rated 9.2 by recent guests! 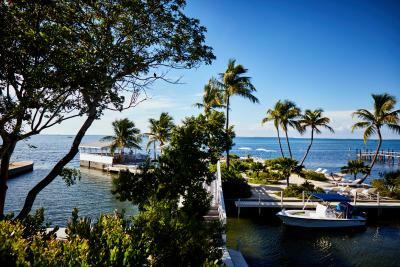 Outstanding private location on the bay-side of Islamorada. Lush gardens and scenery. Adults only. Very peaceful. Great sunsets. Good excursions right from the property. Captain Bill took us on a fabulous snorkling trip. Breakfast buffet was nice. The view was excellent and the free yoga class was very good as well. We liked sailing with captain Bill. Beautiful property. Perfect Location. Friendly staff. Comfortable bed. Great Wifi with VPN. Free snacks. Beautiful sunset and bar. Great toiletries by Malin + Goetz. Absolutely pristine grounds and it feels like you're transported to a different part of the world nestled in the natural landscape all around. This place was stellar! A quiet and small and well-run property to enjoy a 4 day brief vacation location. 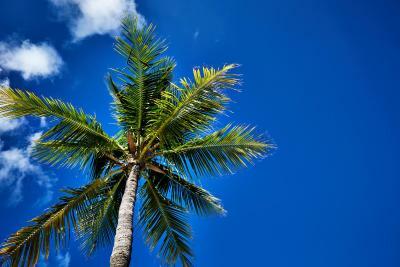 From Islamorada we went to San Juan, P.R. and stayed 4 nights in a big chain hotel on the beach - nice also, Not identical experiences and my preference for a second visit would be Casa Morada. One interesting difference between the two properties: The Casa Morada area is nice to drive around with a rental car; the San Juan property charged $25 per day for car parking and Puerto Rico seemed less "friendly" for a visiting rental car driver! Property well-sited with beautiful grounds and landscaping. Suites spacious and clean. Kayaks and bicycles available free. Staff pleasant and helpful. Great parking areas. Functional WiFi reasonably fast most of the time. Sara at the front desk was awesome! We loved the vibe, the location, the people!!! The staff is very nice, kind and professional. The place is just amazing, very relaxing. The perfect place for resource yourself. Very laid back and peaceful. Close to restaurants. Nice healthy breakfast included. A lovely cat! Big room/suite. Nice light lunches available. FANTASTIC Couple's Getaway! The staff was so friendly and accomodating, and the property felt like our own private little oasis. The pool is gorgeous, the rooms are pristine, and the on-site activities (kayaking, sailing, yoga, games) made the stay even more enjoyable. The hotel is the epitome of hospitality - full of great suggestions for activities outside the property and detailed info on dining and fun in the area. We highly recommend the shower suite! 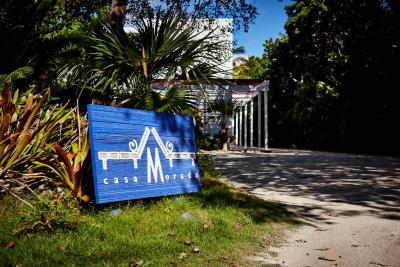 Casa Morada This rating is a reflection of how the property compares to the industry standard when it comes to price, facilities and services available. It's based on a self-evaluation by the property. Use this rating to help choose your stay! This privately-owned boutique hotel offers 16 suites and is an adults-only property. 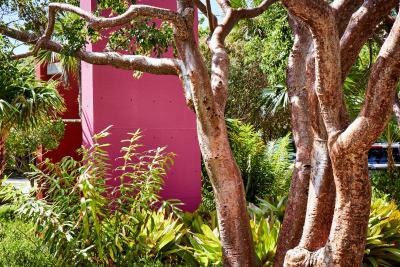 Caribbean inspired decor can be found throughout the property. 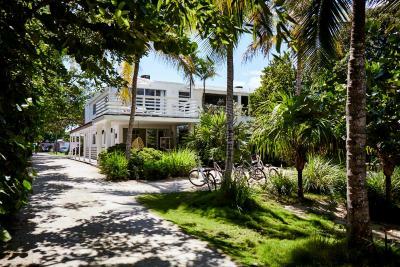 Casa Morada is 1,950 feet from Upper Matecumbe Key. Featuring free WiFi and an outdoor pool, guests can enjoy the on-site bar, snorkeling, kayaking, and standup paddle-board. Complimentary private parking is available on site. Rooms at Casa Morada feature a flat-screen TV with cable channels, a DVD player with an extensive movie collection, and a CD player. Certain suites feature a seating area. Views of the sea, lake, or garden are featured in certain rooms. The rooms include a private bathroom fitted with a bath or shower. Complimentary toiletries and a hair dryer are also included. Concierge service is also available at the property. Complimentary use of bicycles and kayaks is offered to guests. 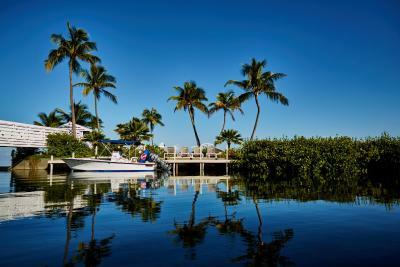 This property also has one of the top-rated locations in Islamorada! Guests are happier about it compared to other properties in the area. This property is also rated for the best value in Islamorada! Guests are getting more for their money when compared to other properties in this city. When would you like to stay at Casa Morada? This suite has a private patio and a sofa or daybed. A private patio or screened porch is provided, as is a flat-screen TV and a DVD player. This suite has a private,screened-in terrace with a hot tub and includes a sofa and a flat-screen TV with a DVD player. This suite has a mini-bar, sofa, and a flat-screen TV with a DVD player. The patio includes an outdoor shower. This suite offers a spacious terrace overlooking the Raymond Jungles Garden, 2 chaise loungers, and an umbrella. 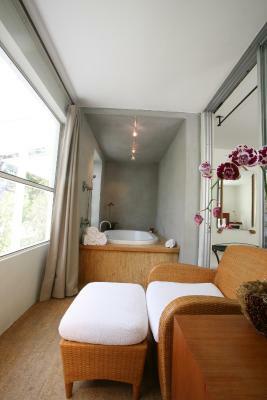 An en suite spa bath, spa chairs, and ottomans are also provided, as are 2 flat-screen TVs with a DVD player. This suite features a terrace with a daybed overlooking the Florida Bay. A sofa and large soaking bath are also provided. This suite features a private terrace with 2 chairs. A large soaking bath, a sofa, and a bedroom with views are also provided. Featuring views of the Florida Bay from the large, second-level windows, this suite offers a smaller terrace with a bench. This suite features a sofa, iPod dock and 2 flat-screen TVs. The patio includes 2 chairs and an umbrella. This suite includes a sofa, mini-bar, and a European bath with a handheld shower. 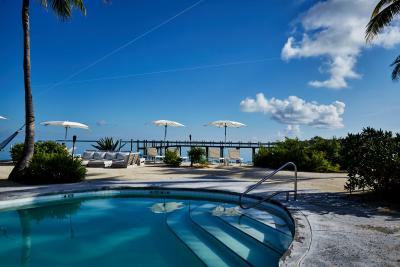 The terrace overlooks the Florida Bay and features 2 chaise loungers, a table, and chairs. House Rules Casa Morada takes special requests – add in the next step! Casa Morada accepts these cards and reserves the right to temporarily hold an amount prior to arrival. Please note this property is exclusively for guests aged 16 years of age or older. Please inform Casa Morada of your expected arrival time in advance. You can use the Special Requests box when booking, or contact the property directly using the contact details in your confirmation. The breakfast was fresh & better than I expected! I would just recommend that they switch up the fruit each day for a little variety. The staff we met were all delightful. However, I think if they hired more employees it would help, especially with keeping the bar by the pool open more. A small complaint in our room was that the door to the bathroom was more like a closet door so that was not very private & did not add to a feeling of romance. Therefore, I would recommend a real door for the toilet area. I would also suggest a place to leave towels by the pool. There is no where to deposit used pool towels so guests leave them on chairs & then you don’t know who is coming back. Also, the bath products were very nice but there was no lotion, which is pretty needed when skin is getting dried out in the sun. We stayed in the one bedroom suite with spa bath & bay view. It had one of the most private patios & the room itself was amazing. The resort was quiant & relaxing! We loved our patio, the pool area with all of the different spots to sit at, & the paddle boards & kayaks. This is truly a beautiful place that we would love to return to! A bit more attention could be paid to services — though this does not really detract from my overall positive review. The bar on the water should stay open later, so guests can have a real sundowner and nibbles. Also while decent, the food could be more interesting and service quicker. For breakfast, what is offered in the buffet is simple but in my view fine, but used dishes need to be cleared out faster and the tables wiped down etc. Given some of the tourist trap looking locations getting to Casa Morada we were worried about the hotel. But Casa Morada is a wonderful little gem on Islamorada. Great location, facilities and activities. Breakfast took some time to replenish in the morning if it had been busy with a few people going down, but it was no big deal really - took a hot drink back to the table and waited with a lovely view. Location was excellent - set back off the main road and within walking distance of a few bars and places to eat. Facilities were great, room was lovely, pool was good with the bar next to it, and the option to use the sports gear such as kayaks or paddleboards was a nice touch. Quite expensive, the laid back vibe extends to service from time to time. 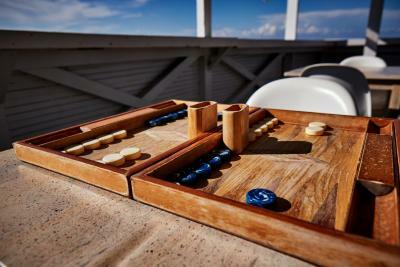 Due to the small number of guests, they are only able to operate a very limited bar by the water and it usually was closed before sunset - too bad because it offers great views and the best sunset on the island. ‘Living room furniture was only a day bed. There should have been 2 nice chairs and a TV in there for the rate charged. Bathrooms are outdated. Clean but small. Loved the vibe, very relaxed, pretty grounds. Motel like rooms - property is only worth about 300 per night - not 500. Way way way overpriced for what you receive. Although there was a menu to order from for breakfast, there was never anybody to take orders. There were not enough cups for tea for the guests one morning. When temperatures dropped to 14 Celsius one morning, breakfast was still outside, so bring warm clothes! The floor in our room was dirty. Bathroom small and not completely what we expected for such a luxury hotel. There was not enough staff. We had to go back to reception twice because there was nobody there to check out. Stay. Here. It’s absolute bliss! The hotel really doesn't offer food other than breakfast. The bar runs until about 7pm after sunset, so after that little happens. There is no chef on the property, and limited menu which is takeaway and you are held hostage to the time it takes for the delivery company. No wine in the mini bars, so you have to go out, in our case we didn't want to do that having had a long journey down from Naples. Has potential to be so much more with a bit of care and thought. The hotel has the 'wow' factor on arrival, the bar on the 'island' is lovely as are the swings. Lots of mosquito in the room let in by housekeeping, no mosquito prevention around the property. Terrible included breakfast at the price point. The "island" is pretty neat but it lacks landscaping. Its too concrete and desert like...but lacks grass or actual sand. If they fixed this...that private island would be epic.